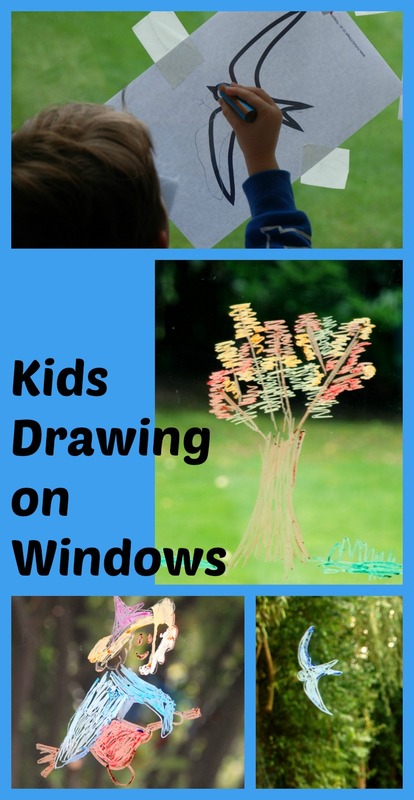 No I am not totally crazy and yes I do let the kids draw on the windows and sliding doors IF they use their STABILO 3-in-1 pencils (they wipe off very easily afterwards). And if you have ever spent time talking to kids Occupational therapists it is actually really good for their shoulder strength which helps with writing and a bunch more good things. We recently had a go at using some colouring pages from Activity village together with our STABILO pencils on our sliding door. The kids loved it and I must admit I did get a bit carried away taking photos. 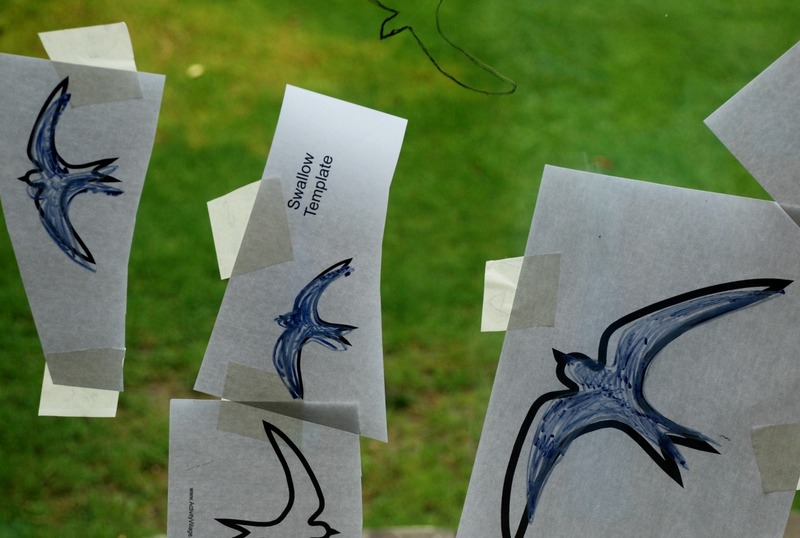 I started off by sticking the witch colouring page and some swallow templates onto the outside of the sliding doors using masking tape. (Both pages are now part of the Activity Village membership package). With the younger kids I think it is best to stick to simple pictures. This is one of those activities where I did not even have to ask the kids, as soon as they see me taping the pictures up they are standing there waiting to have a go. My son really likes the fact that he can wipe off the pictures with a cloth and try again, with his swallows he had about 3 attempts before he has happy. 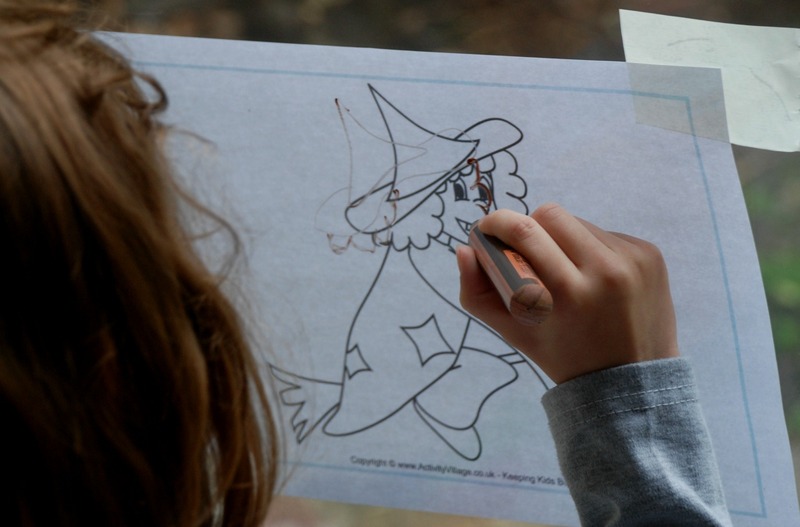 Once they have finished their pictures remove the colouring pages from the outside. Very easy to set up for the kids and very easy to clean up afterwards. 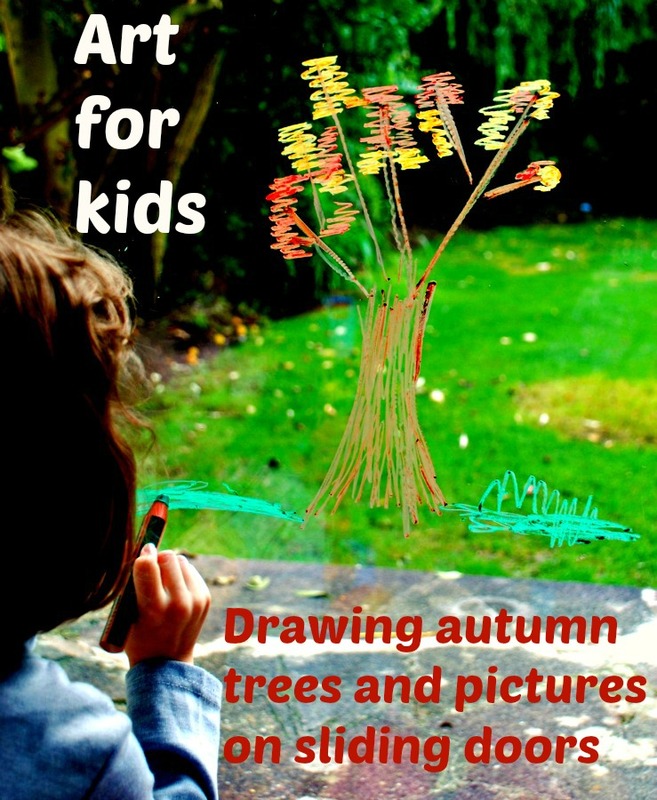 I think this would be a fun activity to do with the kids as part of the build up to Christmas. Possibly a Christmas trees, maybe a reindeer or two and a nice big jolly Santa on a few windows around the house. 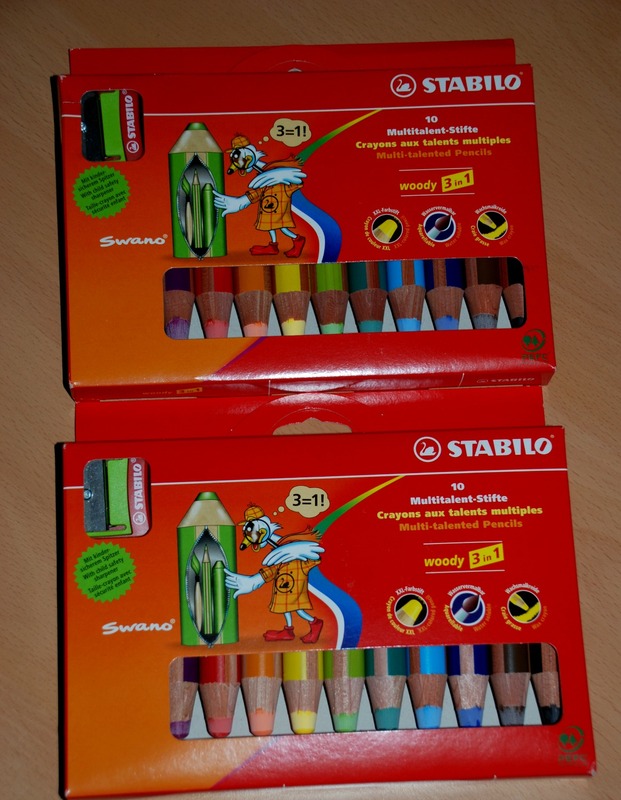 The pencils that we used are the STABILO 3-in-1 pencils. I have often mentioned them in our posts, we love them. If you have never used them before I highly recommend them have a look at the links below (affiliate links). You get three different sets . I have included affiliate links in the post. If you follow an affiliate link and go on to purchase that product, I will be paid a very small commission, however your cost will be the same. 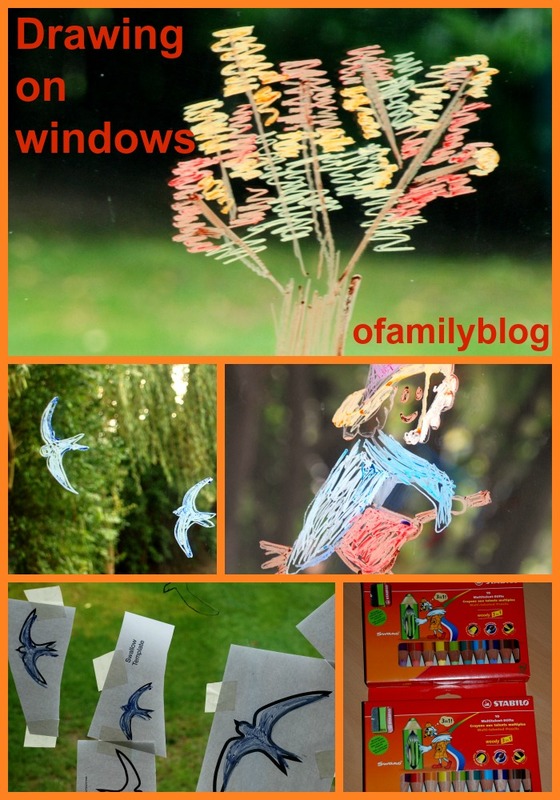 This entry was posted in Art and Craft Ideas and tagged children's art, children's craft, drawing on windows, home ed, homeschooling, STABILO 3-in-1. Bookmark the permalink. 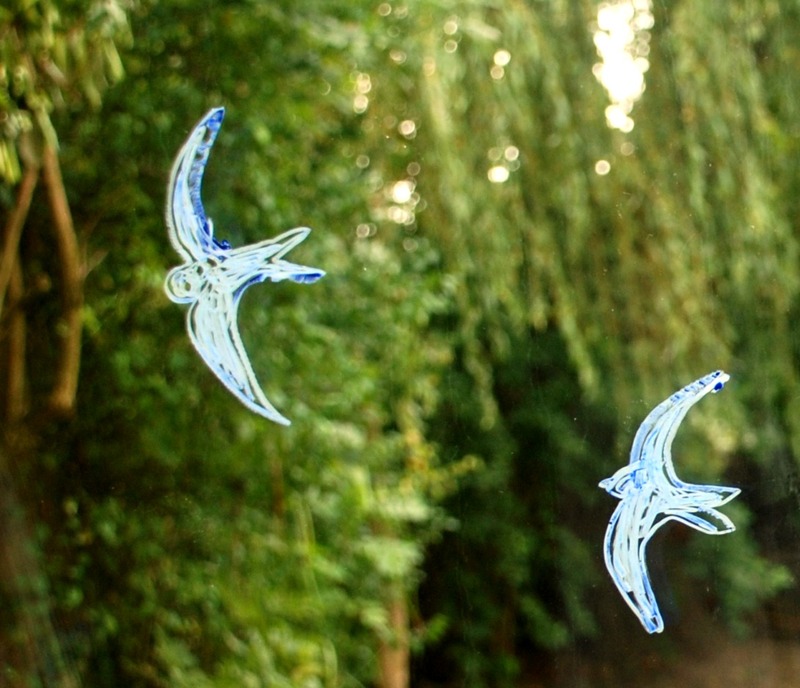 I think window artwork is fun. My college age daughter still draws on her bedroom window!